Pristine Spam Traps are essentially email addresses ONLY visible in the source code, but hidden so that you or I would never actually see them. The only way to find those would be to use some sort of bot or other bad collection process to scrape websites for anything that looks like an email address. They are put out there to identify and catch spammers! If you're "building" your list using these tactics (or purchasing lists, since many purchased lists contain such traps), than it's more than likely you're going to find some of these on your list. Recycled spam traps are addresses that were, at one time, legitimate addresses that belonged to an actual user, but have since been abandoned and turned into a trap by the inbox provider. Basically, once an address is no longer used, the provider will deactivate it. The time period ranges from as little as 90 days to as long as 370 days depending on the provider. During that time, you'll most likely get full mailbox bounces and ultimately a "nobody here at that address" bounce. Assuming you are maintaining your list properly and not trying to reactivate a list that hasn't been mailed to in a year , you shouldn't run into these types of traps. However, if you're not cleaning your list or you are mailing to older lists, than more likely than not, you're going to get some of these, which tell the inbox provider that you're not maintaining your list properly. NOTE: Assuming you are following best practices when it comes to list building, recycled traps are most likely the types of spam traps you'll find on your list. Unfortunately, there's no global list of spam traps floating around on the Internet. So, it ultimately comes down to how you build (and manage) your list. Identifying them would only treat the symptom. You really need to address the cause (list building and list maintenance). 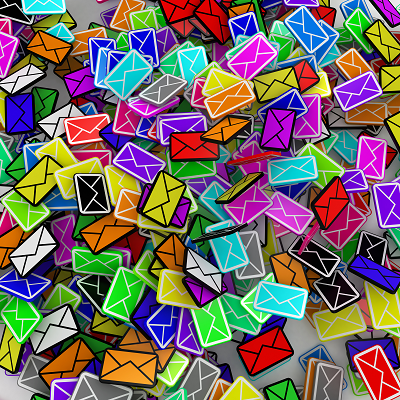 For more information on how spam traps affect deliverability, click here http://www.emaildelivered.com/deliverability-reminders-spam-traps/. Remember to sign up for the FREE Email Delivered Pulse newsletter for articles, tips, and recommended resources for email marketers.